Claims - any claim for damage or shortage must be presented to the factory in writing within 15 days after date of delivery of shipment. All damages must be reported immediately, preferably on the delivery manifest, to the carrier so that we may file a claim on your behalf. Drop Shipment - one destination is included in the product price, FOB our factory in Ohio with insurance added. Shipping instructions and changes must be in writing and recieved at least 24 hours prior to shipment. 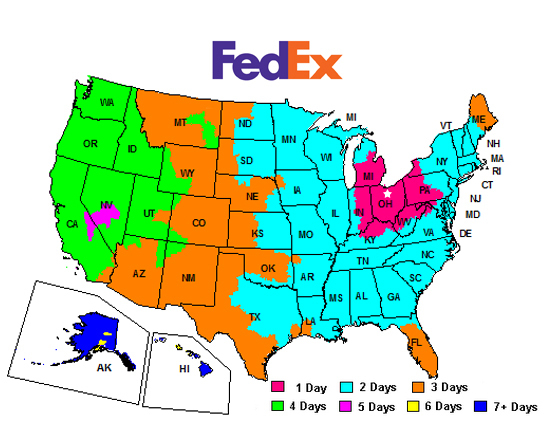 Shipments are made via FedEx, UPS or LTL common carrier and the factory determines the best way unless specified in writing. A $2.50 per box packing and handling charge applies. Foreign shipments made via one of our standard carriers are offered and will incur a $25.00 export documentation charge. Shipment via the USPS will incur a $15.00 extra handling charge. Please provide all information necessary for export documentation preparation. Duty and/or taxes are the recipient's responsibility. Individual Mailing - $3.75 each plus cost of the mailer and freight/postage. A digital copy of the addresses must be supplied in an acceptable .xls PC file with the proper columns and data included. Please contact the factory for needed data specification. Palletize/Truck shipment - $15.00 charge per pallet (skid) will apply to help cover the costs of the skid, strechwrap, rain cover, banding and loading. Rush Service - rush service is available upon request with factory approval. If your product is needed in less than the stated production time per item, an additional rush service charge of 12% of the cost of the product will be added. Depending on the product, number of working days available, current production load and product requirements will determine the additional charge. The minimum rush charge is $60.00. Split Destination or Departure Shipments - total quantity shipped at one time - $15.00 (g) per added destination; quantity shipped at different times - $25.00 (g) per subsequent shipment. Total quantity will be invoiced at the time of first shipment. All shipments must occur within 1 year of the first shipment. 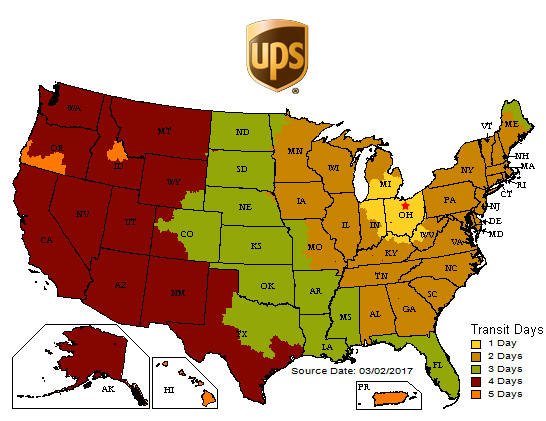 Third Party Shipping - UPS shipper accounts can be used for shipment with a $ 5.00 service fee per shipment. Federal Express shipper accounts will also be accepted for shipment with a $ 5.00 service fee per carton with a $ 30.00 max per shipment. Rebilling of shipping charges to a 3rd party account after the shipment has be made will incur a $ 45.00 (g) service fee.